This newly renovated one bedrooms apartment is located very well, within walking distance to everything. The apartment itself is located on the 2nd floor with a nice sized terrace for outside dining and relaxation in the summer. There is a living room and a small open kitchen that is new. One bedroom, bathroom and separate toilet. Outside on the terrace is a love seat and lounge chair with coffee table to have morning breakfast and even lunch and dinner. The apartment is exposed south facing and is very luminous. Don't worry there is air-conditioning to keep you cool. Garage parking and elevator access. Walking distance to everything. Modernized and clean looking apartment. South facing terrace. Actual bathtub and not just a shower for those who still enjoy baths. Separated WC. Underground parking available with the apartment on level -2 of the 'C' Building. Tassimo coffee machine which takes capsules. Equipped with 4 settings of plates, bowls, cups, wine glasses, coffee cups and utensils. Round table that seats four. The apartment is exactly as in the photos . Very nice ..... Very close to the city City Antibes and beach . The Perfect Modern Oasis in a Great Location! Our holiday in Antibes was our best family holiday ever! Lisa's guest suite was perfect...so modern, clean, quiet and perfectly located. It is equipped with everything a traveler needs, with kitchen amenities, parking, beach towels, air conditioning, hair dryer, washer, iron and the Nespresso coffee was an added bonus! The bedding was extremely comfortable and plenty of room for my family of 3. The location is ideally situated - we strolled to the beach, market, restaurants and shops every day (all within 5 min)....as are the grocery stores, car rental, and train station. The suite is so close to everything but just far enough away that you do no hear the night time partiers. We highly recommend Le Familia Italian restaurant just around the corner! Lisa was a great host and accommodated our every need! Her welcome book has a lot of great information on day trips around the French Riviera which makes Antibes the perfect base in the South. I highly recommend Lisa's suite and hope to come back next year! Insgesamt hat mir die Wohnung gut gefallen (auch wenn es einige kleinere Mängel gibt, die aber nicht zu sehr ins Gewicht fallen). Die Lage der Wohnung ist perfekt (sehr nah am Hafen und an der Altstadt), das Gebäude hat einen guten und auch sicheren Eindruck gemacht. Einzig die Kommunikation vor meinem Aufenthalt mit der Vermieterin hätte besser und zügiger sein können. 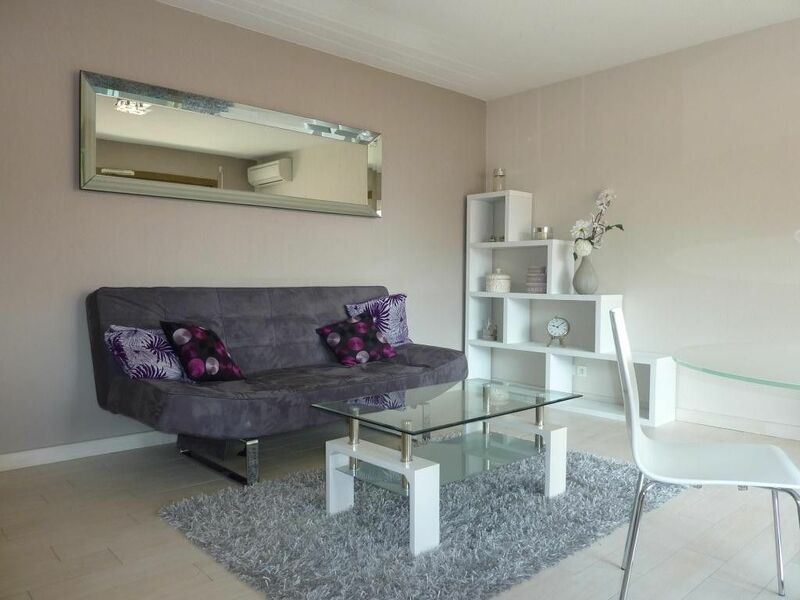 Apartment correct, completely equipped, and with charming. The contact with Nico and Lisa was very correct and we explained everything from the first moment. Located just steps away from the famous Port of Antibes. Convenient location for access to the beaches, markets, shops and the train station. Everything is located by foot, no car necessary. The Antibes market day is on Thursday with the Antique market on Saturday. There is a daily Provençal market (except Monday) with fresh produce and local specialities a 10 minute walk away. Antibes if full of charm, with its medieval cobblestone pathways and old stone buildings. There is something new to see each time you turn the corner. The nearest restaurants are just down the road. As mentioned the train station is also just up the road so if you feel like going out on an excursion elsewhere, it is easily accessible with luggage. Optimal for a couple and a small child. No smoking. Reservation deposit of 30% required to hold the reservation. Damage deposit of half the rental rate returned at check out. Full payment required pne month prior to check-in. Cleaning fee of 60€. Inquire about airport pick-up and drop-off.